Take your drawings from 2D & lifeless to 3D & vibrant using proven methods anyone can learn. Perspectives are a HUGE part of drawing realistically. Get these wrong and your entire image can go south very quickly. In this series you’ll jump straight into drawing 1,2 and 3 point perspectives as well as how to draw circles and cylinders with more techniques being added constantly. WOWZA! This course is Jam Packed with over 60mins of high quality video with me personally guiding you thru each of the methods I use for getting perfect perspectives whether I’m drawing circles, squares triangles or any other object in a 3d space. 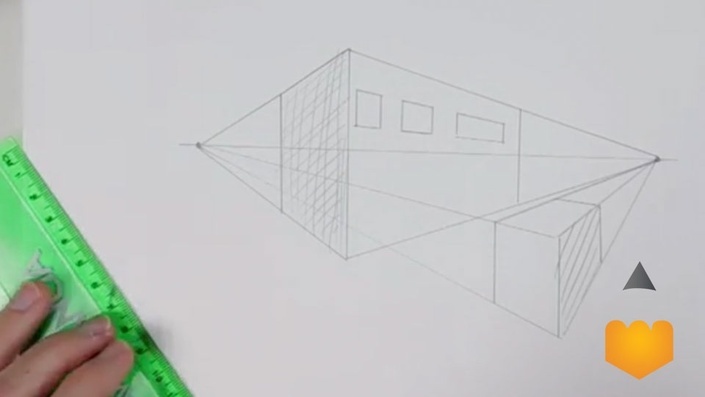 Are you ready to discover what strategies it takes to get Amazing results with your drawings using perspective ? Are you ready to see how you can apply the same lessons to break away from the the flat, lifeless images, and launch your drawings immediately into 3d space by drawing your images like a pro? Access is easy and IMMEDIATE — simply click the “Get Started Now” button below and you can instantly start this comprehensive video series, taking it all in at your own pace. Look, this truly is a unique opportunity to see how a professional get’s it done. This course will also be updated frequently with new lessons and insights so you can stay on top of your game and add that missing element of realism in your drawings. The Perfect Perspectives Video Course is easily equal to any one time private session you can get and it’s available at a FRACTION of the cost! Plus, there is absolutely NO RISK TO YOU. Kevin Kramer is a self taught artist and educator. He has been a featured artist for many juried art exhibitions, shows and publications distributed internationally. After several years of accomplished work and successful partnerships, Kevin decided to share the wealth of his collective knowledge, tips, and insights into the craft of illustration by founding his own drawing instruction website. Through his website Kramer hopes to help other budding artists hone their craft, as well as help the average individual tap into their creative psyche.